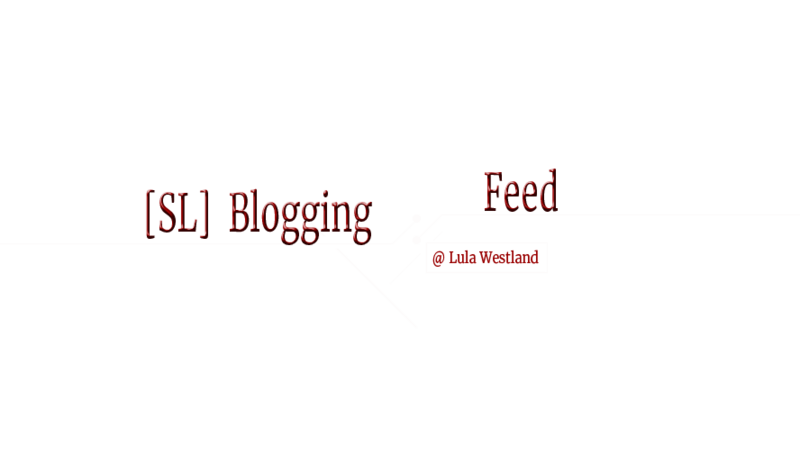 Would you like be syndicated on [Sl] Blogging Feed ? Your site must have acceptable SL-related content. Your site must be active, and updated within the last 30 days. A link back to https://slbloggingfeed.blogspot.de/ must be visible on your site. If you would like to be added to the [SL] Blogging Feed, please fill out the form! WILD Fashion & Beauty, Sense Event. Impervious to anything less than positive! @Lula Westland. Powered by Blogger.